Prescription drug abuse is the use of prescription drugs — most commonly painkillers, depressants and stimulants — in ways not intended by the prescribing doctor. The definition for prescription drug abuse includes everything from taking a friend's prescription painkiller for your backache, to taking amphetamines from an old prescription to study for tests, to snorting ground-up pills to get high. Taking prescription drugs that are not prescribed to you - or taking them in any way other than directed by a doctor — is considered non-medical use or abuse and can be as dangerous as taking an illegal drug, such as cocaine or heroin. "Misuse" of a prescription drug is taking it to treat a medical condition but not as directed by a doctor or packaging; "abuse" is taking prescription drugs with the sole intention of getting high. When misused or abused, many prescription drugs can be as dangerous and addictive as "street" drugs. The National Institute on Drug Abuse estimates that nearly 20 percent of people in the United States have used prescription drugs for non-medical reasons. According to a 2007 survey, prescription drug abuse occurs in more than 15 percent of U.S. high school seniors. Popular pain-relievers of concern include hydrocodone (Vicodin, Lortab, Lorcet), oxycodone (OxyContin, Percocet, Percodan, or Tylox), and methadone, as well as a number of other drugs. 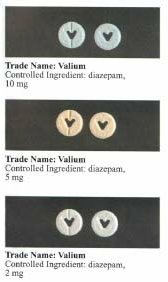 Depressants of concern include clonazepam (Klonopin), alprazolam (Xanax), lorazepam (Ativan), zolpidem (Ambien), and diazepam (Valium). Stimulants of concern include methylphenidate (Ritalin) and amphetamines (Adderral). Opioids, mostly prescribed to treat moderate to severe pain, include drugs such as Hydrocodone (Vicodin, Lortab) and Oxycodone (OxyContin). Opioids act on the brain by indirectly boosting dopamine levels in the brain regions that influence our perceptions of pleasure. This feeling is often intensified by abusers who snort or inject the drugs, amplifying their euphorigenic effects and increasing the risk for serious medical consequences, such as respiratory arrest, coma, and addiction. Combining opioids with alcohol can exacerbate these consequences. Stimulants, prescribed to treat attention-deficit hyperactivity disorder (ADHD) and narcolepsy, include drugs such as Ritalin, Adderall, and Concerta. These prescription medications stimulate the central nervous system, with effects similar to but more potent than caffeine. When taken orally, as prescribed, these stimulants elicit a gradual and sustained increase in the neurotransmitter (brain chemical) dopamine, which produces the expected therapeutic effects seen in many patients. In people with ADHD, stimulant medications generally have a calming and "focusing" effect, particularly in children. However, because these medications affect the dopamine system in the brain (the reward pathway), they are also similar to drugs of abuse. For example, Ritalin, or methylphenidate, has much in common with cocaine - the two drugs bind to similar sites in the brain and both increase dopamine through the same molecular targets. When administered intravenously, both drugs cause a rapid and large increase in dopamine, which a person experiences as a rush or high. For those who abuse stimulants, the range of adverse health consequences includes risk of dangerously high body temperature, seizures, and cardiovascular complications. 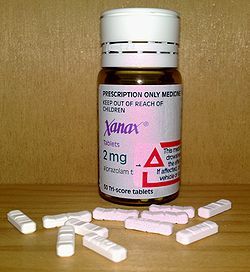 Central Nervous System Depressants, typically prescribed for the treatment of anxiety, panic, sleep disorders, acute stress reactions, and muscle spasms, include drugs such as Diazepam (Valium), Alprazolam (Xanax), and Librium. Most CNS depressants act on the brain by decreasing brain activity, producing a drowsy or calming effect that is beneficial to those suffering from anxiety or sleep disorders. These drugs are also particularly dangerous when mixed with other medications or alcohol; overdose can cause breathing problems and lead to death. Although the newer sleep medications—such as Ambien, Lunesta, and Sonata––appear to have reduced dependence and abuse liabilities, they still react with some of the same receptors in the brain, so they may share some of the risks. Prescription drug abuse has increased as the drugs have become easier to obtain. For example, U.S. prescriptions for stimulants — including those taken for ADHD — increased from around 5 million in 1991 to almost 35 million in 2007. Prescriptions for opioid painkillers such as oxycodone (OxyContin) and hydrocodone (Vicodin) increased from 40 million in 1991 to 180 million in 2007. Most prescriptions are written for people who have a true medical need for these drugs. But many households have a drawer filled with old prescription bottles containing leftover drugs. Because prescription drugs have medical uses, teens often believe they are a safe alternative to street drugs. Many teens think these drugs are safe because they have legitimate uses, but taking them without a prescription to get high or “self-medicate” can be as dangerous – and addictive – as using street narcotics and other illicit drugs. Hundreds of internet sites sell these drugs without a prescription. The drugs are bought directly from the pharmacy and there are never any questions asked and no IDs are required for purchase. The non-medical use or abuse of prescription drugs has increased exponentially over the past 2 decades, and is occurring at epidemic proportions in almost every state. The problem is escalating and has become a major public health issue. When used properly, these drugs may relieve anxiety and pain, but when abused they can be lethal and just as addictive as other illicit drugs like heroin and cocaine. In 2000, about 43 percent of hospital emergency admissions for drug overdoses (nearly 500,000 people) happened because of misused prescription drugs. This type of drug abuse is increasing partially because of the availability of drugs, including online pharmacies that make it easier to get the drugs without a prescription, even for minors. There may also be a perception, especially among younger people, that prescription drugs are safer than illegal street drugs. Most people don’t lock up their prescription medications, nor do they discard them when they are no longer needed for their intended use, making them vulnerable to theft or misuse. Other important factors have also recently contributed to the severity of prescription drug abuse, including drastic increases in the number of prescriptions written, greater social acceptance of using medications, and aggressive marketing by pharmaceutical companies. Because prescription drugs act directly or indirectly on the same brain systems affected by illicit drugs, their abuse carries substantial abuse and addiction liabilities. They are most dangerous when taken to get high via methods that increase their addictive potential (e.g., crushing the pills, then snorting or injecting their contents, or combining them with alcohol or illicit drugs). Some people also take prescription drugs for their intended purpose, though not as prescribed, thus heightening the risk of dangerous adverse reactions; and still others may become addicted even when they take them as prescribed. Nearly 7 million Americans are abusing prescription drugs—more than the number who are abusing cocaine, heroin, hallucinogens, Ecstasy, and inhalants, combined. That 7 million was just 3.8 million in 2000, an 80 percent increase in just 6 years. Misuse of painkillers represents three-fourths of the overall problem of prescription drug abuse; hydrocodone is the most commonly diverted and abused controlled pharmaceutical in the U.S.
Because prescription drugs are safe and effective when used properly and are broadly marketed to the public, the notion that they are also harmful and addictive when abused can be a difficult one to convey. It’s no secret that drug abuse can be harmful and dangerous. Most people think serious problems are only caused by "club drugs" — like ecstasy and GHB, and by "street drugs" — like heroin and cocaine. What a lot of people don’t know is that prescription drug abuse (using medications for non-medical purposes) can be just as harmful — and just as dangerous. Just because they’re available at your local pharmacy, doesn’t make them safe if they are misused or abused. See, Statement by Nora D. Volkow, M.D., Director of the National Institute on Drug Abuse (NIDA), on Scientific Research on Prescription Drug Abuse before the U.S. Senate Judiciary Committee, Subcommittee on Crime and Drugs, Wednesday, March 12, 2008.